It is the first time ever we are reviewing for you a single-handed wristwatch. 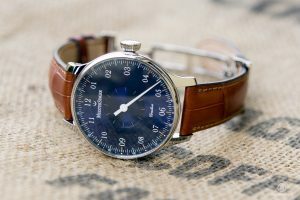 In this particular model, the manufacturer has combined a bold design with an unusual way of reading time – this causes pretty extreme emotions. 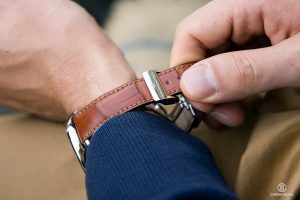 Even though single-hand watches are currently in minority, we shall bear in mind that it has not always been the case. Solar clocks, many of the still-working tower watches but also some pocket timepieces such as the Souscription built by Abraham-Louis Breguet used this particular method of showing and reading time. 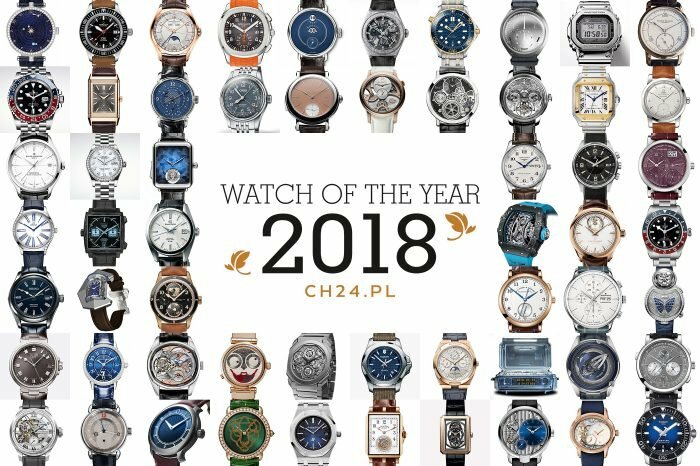 Nowadays, watch manufactures accustomed us to watches having much more functionalities that just simple and accurate indication of the current time – which does not mean that there are no players, who are not willing to follow the trends and move slightly against the current. For sure, one of them is the German company – MeisterSinger, for which single-hand watches are a landmark product. Its website says: “With its one-hand watches, MeisterSinger goes back to the origins of watchmaking and shows us how charming it can be to read time in the simplest way possible.” Is it so in reality? 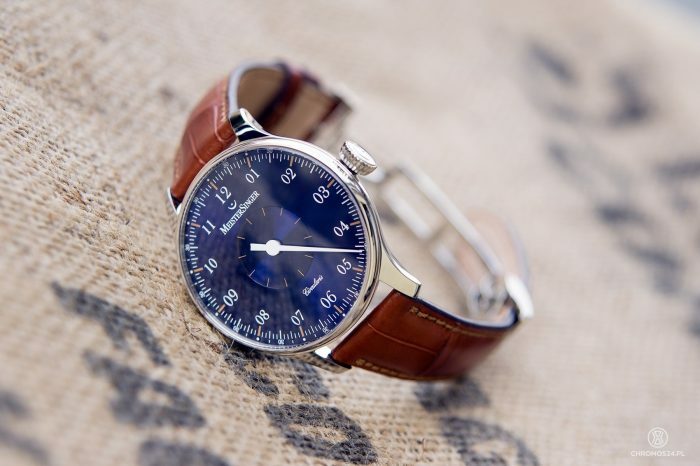 Circularis is a relatively new watch – it appeared in the MeisterSinger portfolio in 2014. The 43 mm steel case has the same dimensions as the earlier No 01, No 02 and No 03 models, all of which have brought recognition to the brand. The key difference between the tested piece and its predecessors is the calibre, but we shall come to this later. The MeisterSinger covered by this review is available in three color versions of the dial – ivory and silver-white or blue (both with sun-brushed finish). For review we chose last one. 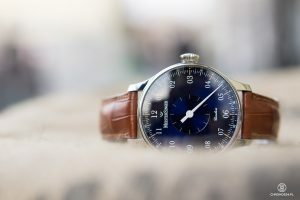 I had the opportunity to test several blue dial watches lately and it turned out each of them was different. In the case of Circularis, looking against the Sun, you see a whole palette of colors – from a strong sky blue to a very dark navy blue. The color design is very interesting and bold, but may become slightly boring with time. Therefore if I was to choose one for myself, I would choose one of the two remaining options. Composition of the dial is limited to a minute scale. 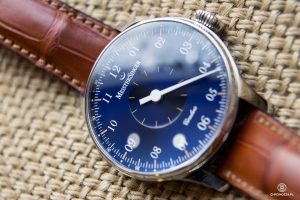 It provides very good legibility and remains, in my personal opinion, one of the keys to the success of MeisterSinger timepieces. The above-mentioned scale divides the dial into 144 equal parts, each corresponding to 5 minutes. Additionally the hour indexes are golden and the 30-minute ones are longer than the others. Symbols of “30” are located on the outer side of the scale, half-way through every hour section. The inner side is filled with full-hour numbers, with an additional “0” at the beginning (01, 02, 03, etc.). The delicate, golden hour indexes in the central part of the dial are placed in recess, creating a three-dimensional effect. 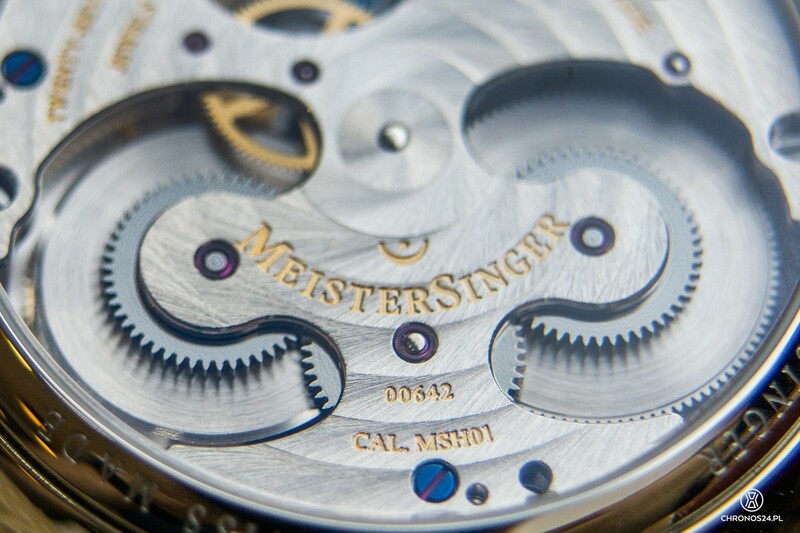 To achieve a very good legibility, MeisterSinger was forced to apply this specific diameter of the watch. 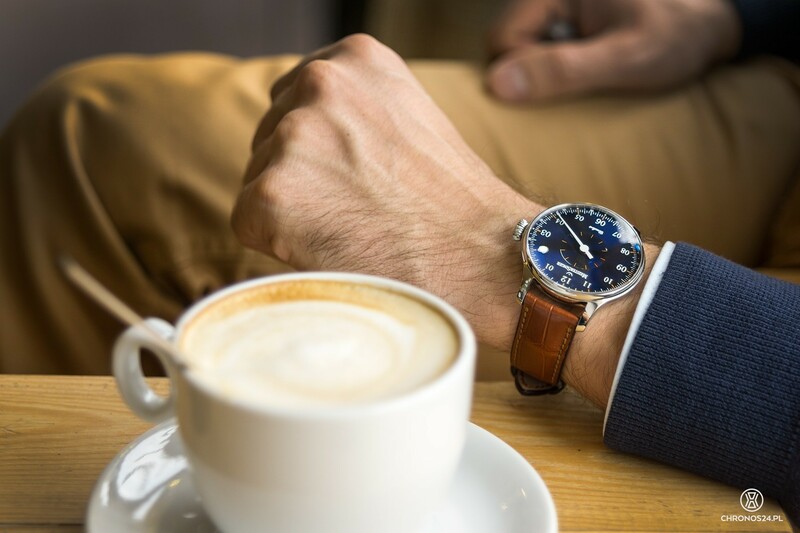 Thanks to a well-designed structure of the dial and good dimensioning of the case it did not take me much time to get accustomed to one massive hand and I had no problems reading the correct time. 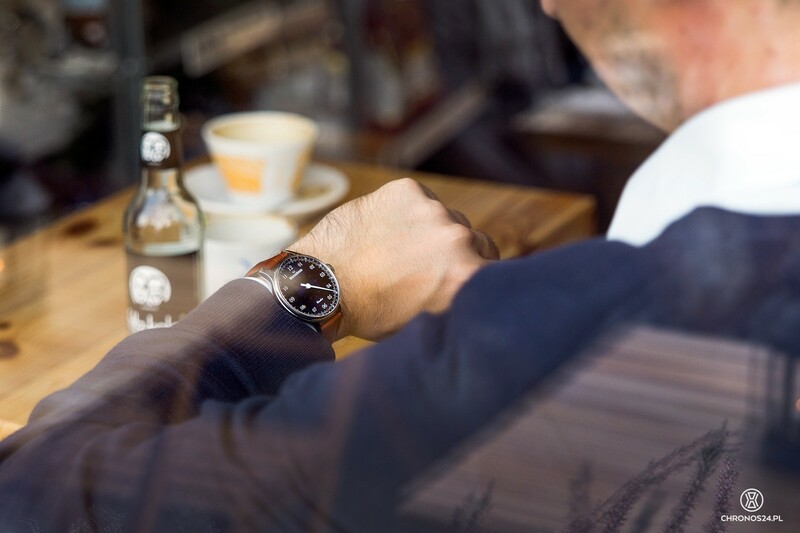 The visual values of Circularis have been appreciated in Hamburg, where the watch obtained the 2015 iF Design Award. A jury of 53 people selected the winner from among almost 5000 nominees. Not so long ago, MeisterSinger was using commercially available movements. The situation has changed with the premiere of Circularis. The company claims that three years of collaboration with a “Swiss partner” were sufficient to design a new caliber. Sounds a bit mysterious, but a short investigation led us to more details. 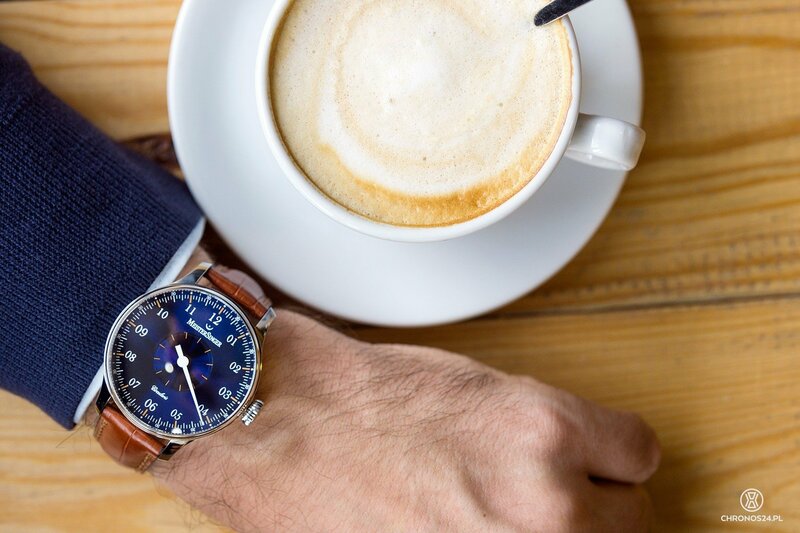 The “Swiss connection” is the Synergies Horlogères caliber manufacture, currently belonging to the Christopher Ward band. 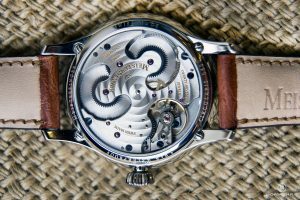 Coming back to the caliber working in the heart of the model being reviewed, it is a hand-wound caliber, designated with signature MSH01, visible through the transparent case back. The German manufacturer says that the author behind its visual design is the founder of the company – Manfred Brassler. The rhodium-plated surface of the bridge is decorated with a „côtes circulaires” pattern with high shine polished edges. Blued screws were used, along with gold-filling of engravings. The first thing I noticed looking at the movement was the serial assembly of two spring barrels. 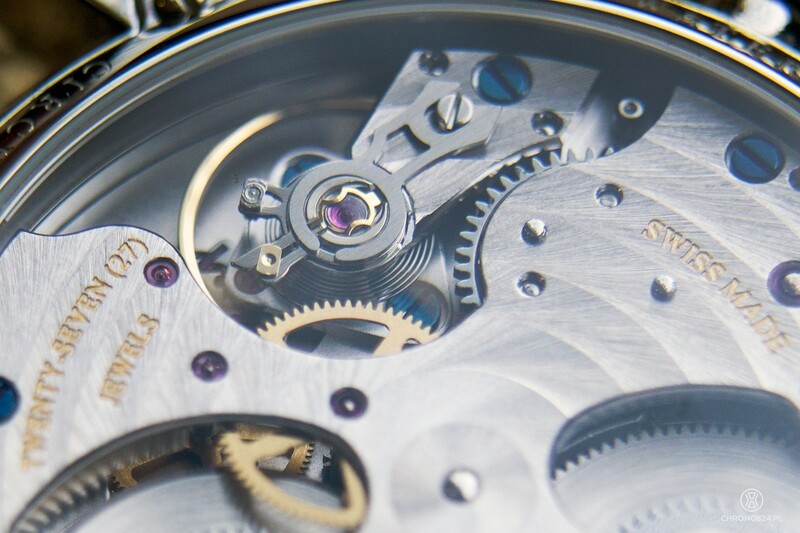 After winding, mechanism is able to guarantee a power reserve of 120 hours (five days). Usually, to achieve such a level of performance, manufacturers tend to reduce the working frequency. In this case, the frequency has been kept at the standard level of 4Hz to guarantee a higher level of accuracy. 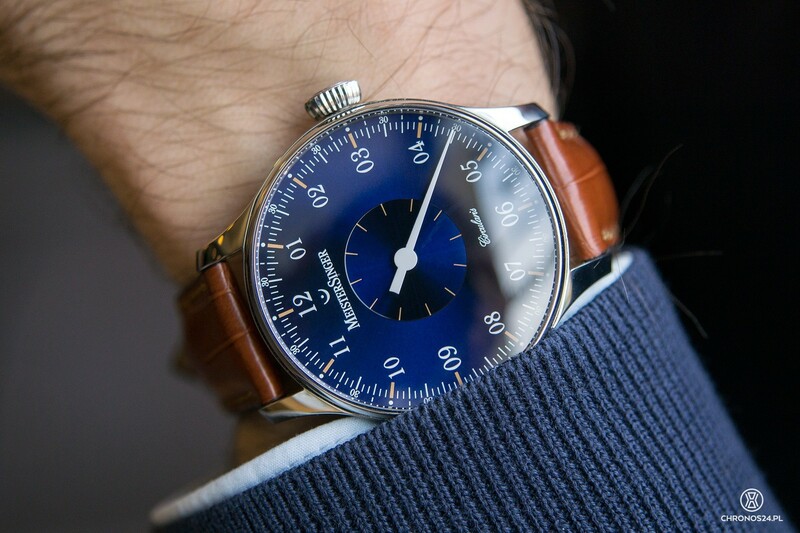 I suspect that if MeisterSinger decided to go down to 3Hz, the power reserve could by extended by one or even two days. In my opinion, the company deserves a large plus for resigning from a longer power reserve for a higher level of accuracy – even though time readout precision is in this case restricted by the five-minute scale. 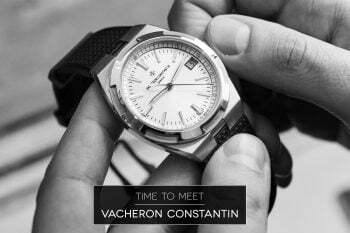 I have mentioned before that the movements are created in the Synergies Horlogères company. 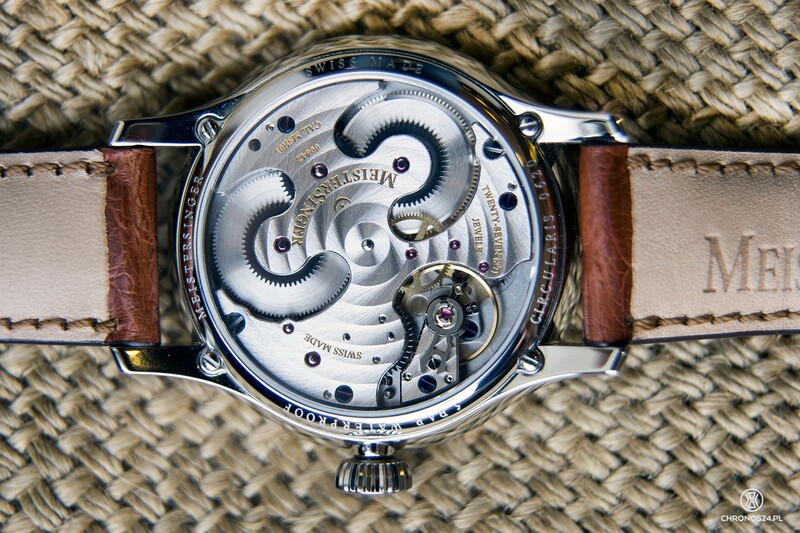 Its owner, Christopher Ward, uses a caliber designated with SH21 in some of his timepieces. 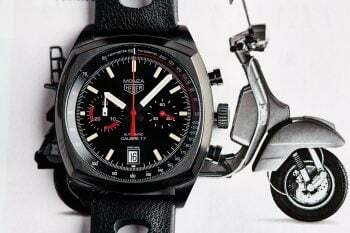 It is the same construction as in MSH01 but this time equipped with automatic winding and much less decorated. The caliber used in the Circularis model inspires much more positive feelings. It looks simple, austere and modern. What is very important is that the elements were designed in a way to minimize mechanical play in motion of the rather massive hand. It is sometimes a great pleasure to wear a watch, which is running away from the standards imposed by the market. If the only thing that keeps you from reaching for a Circularis is the concern of “learning” how to quickly read time – let me assure you – this is not a problem. 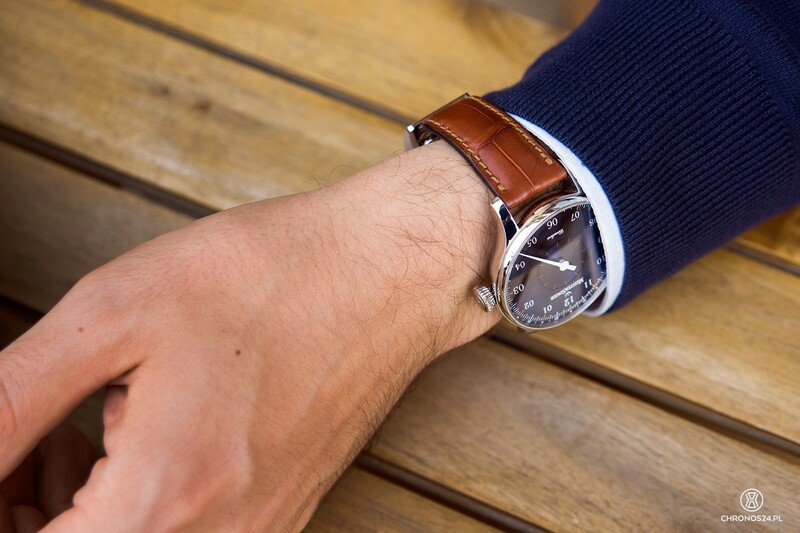 The large hand, combined with a well designed dial and its scale can be mastered in no time at all. The fact that we are doing it with an accuracy of five minutes – well, maybe it is worth to stop or slow down a bit n our everyday life? Personally, I like the idea behind MeisterSinger watches. 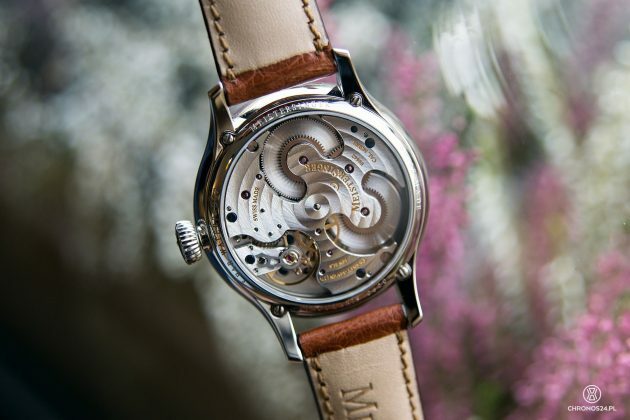 Same goes for the quality and design of the calibre. If I was to pick on something it would be the color version of the dial – I would not choose it for myself. As I mentioned before, the blue option can quickly become boring. 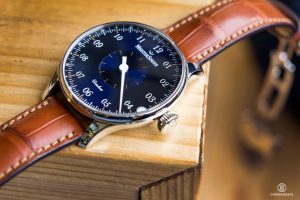 MeisterSinger is a proposition for people seeking a unique piece of interest for their watch collection or those, who want a timepiece different than any other. The version reviewed (alligator strap with double pin lock) costs around 4.498EUR. Watch provided for testing by MeisterSinger.